The UK government will step up efforts to protect businesses from cyber attacks, minister David Lidington writes for Business Insider. The National Cyber Security Centre – set up in 2016 – has defended the UK from over 1,100 cyber attacks. 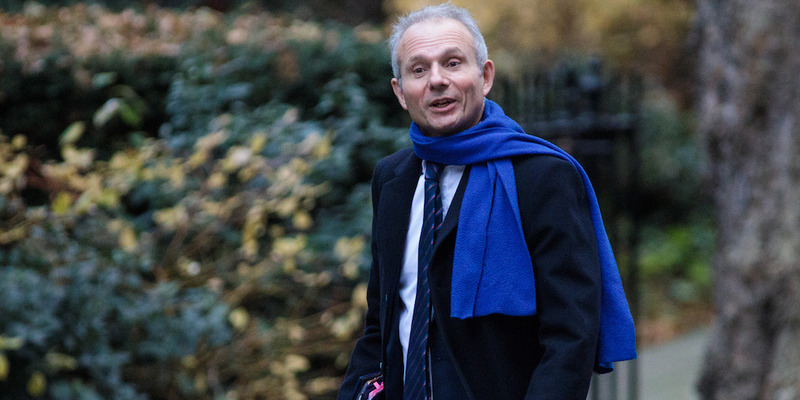 However, the threat of cyber attacks is not going away, and a majority of businesses are not sufficiently equipped to fight the threat of cybercriminals and hacktivists, Lidington warns. The government will offer businesses a “toolkit” for defending itself from cyberwarfare. The UK cyber security industry has generated £5 billion to the economy. “It is right that we invest in cybersecurity start-ups and support the wider industry,” Theresa May’s de facto deputy writes. The UK is at the forefront of a worldwide digital revolution. Most of us have embraced digital technology, and depend on it more and more in our daily lives, both at home and at work. Our ever-increasing levels of internet access are driving our digital industry which is now growing faster than any other part of the UK’s economy. However, all this growth brings with it ongoing and developing dangers from hostile states, “hacktivists” and cybercriminals. Cybersecurity is one of my main priorities, as well as the government’s, and we are committed to making the UK the safest place to live and do business online. In 2016, recognising the need for a comprehensive approach, we launched the National Cyber Security Strategy to help us achieve this and to build our resilience to cyber attacks. Central to this was the creation of the National Cyber Security Centre (NCSC). It has brought together the very best experts and intelligence to fight online attackers – and defended the UK from more than 1,100 cyber attacks. This morning, I will be opening trading at the London Stock Exchange and meeting business leaders before their first cybersecurity master class. I welcome their engagement – and I am grateful to the financial services sector for developing CBEST, a successful model which tests and improves our ability to find and act against potential threats. Last week, I announced GBEST – a new government scheme inspired by this model which will help protect the public sector from highly sophisticated and persistent cyber attacks. Government has learned a lot from the business world – and I hope that some companies will recognise they can learn from each other, too. This year’s Government Cyber Breaches Survey revealed that only 30% of businesses have a board member responsible for cybersecurity. Importantly, a significant proportion of companies are still not adopting the basic precautions needed to protect themselves from the large amount of low-level cyber threats that all organisations face. This is why we are re-focusing our efforts towards driving long-term, cultural change. We are helping boards to gain a better understanding of the cyber risks they face, so they can take the appropriate action. Later this year, I will be writing to all FTSE 350 Chairs to highlight the new Board Toolkit being developed by the NCSC, highlight our 10 Steps to Cyber Security document, and promote the Cyber Essentials scheme, which helps those in industry to take simple steps that can prevent most high volume, low sophistication attacks. Cyber attacks are not going away. It is right that we invest in cybersecurity start-ups and support the wider industry. This effort is paying off as our world-leading cybersecurity industry is making an enormous contribution – generating more than £5 billion to our economy. The industry is benefiting from strong and unique support from government, including specialist expertise and world-leading academic institutions. These are providing access to vital funding, business support and testing facilities. There has never been a better time to invest in our high-quality and home-grown cybersecurity start-ups and emerging businesses – of which there are now over 800 companies across the UK. Their invaluable work will help us all better understand the scale of the challenge we face – and help build up our defences to enable the UK to be the safest place to live and do business online. David Lidington is the Minister for the Cabinet Office and Chancellor of the Duchy of Lancaster. He has been the MP for Aylesbury since 1992.